Sounds like lots of fun, doesn’t it? Yeah, not so much. Times like this, it’s pretty tough to stay focused on anything for very long. So just to warn you, this will end up being a pretty disjointed post! I’ve been hearing about upcoming new music from a bunch of different places over the past few days, so basically I’ve assembled a collection of previews for you — some you can listen to, some you can watch, and some you can download. There’s a pretty wide variety in this assortment of songs, so chances are, you’ll find something here that appeals to you. If you see/hear something you find interesting, let me know! It’s always nice to know what resonates with you, the reader, so I can be sure to put more effort into stuff like that. And if you don’t find anything you like here, then definitely let me know, and I’ll try harder next time! This “groovy, aggressive thrash metal” band from Norway (their words, not mine) were scheduled to play at the Wild Metal Festival (more info here) in Cancun, Mexico, earlier this month. They did make it to Mexico, they made it to the festival venue, and they even had the opportunity to get onstage and play through one song and part of a second. Unfortunately, though, at that point all hell broke loose! Or more accurately, perhaps I should say all heaven broke loose — because at that moment, an enormous torrential downpour was unleashed, which was so severe that it ended up causing the remainder of the event to be cancelled. Eventually, Dead Trooper (and other musicians, some local, and some in town for the festival) ended up hanging out at a local biker bar where they played music and partied with some of the displaced fans. However, the band felt bad about the forced cancellation, and also felt that they owed the local metalheads a “thank you” for their hospitality. 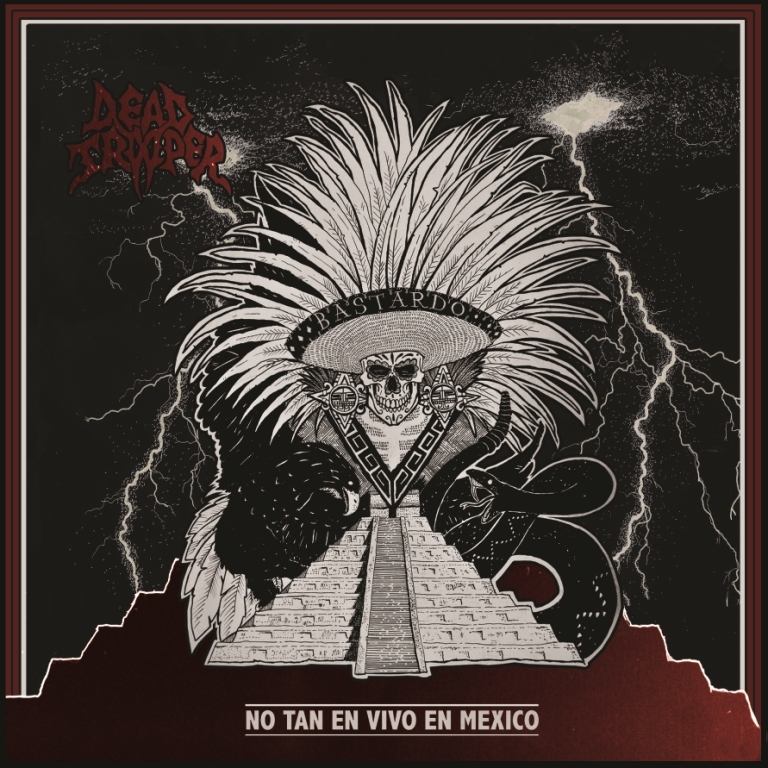 Therefore, they decided to release No Tan En Vivo En Mexico, a “not so live” album, which they actually had recorded during their warm-up to the scheduled Wild Metal Fest show. Although performed in a studio, this album features the band running through their entire set as it would have been performed onstage at the event. If you’d like to hear more of the band’s black-and-gothic-metal-influenced thrash, a few tracks from each of their last couple releases can be played OR DOWNLOADED FOR FREE right here. 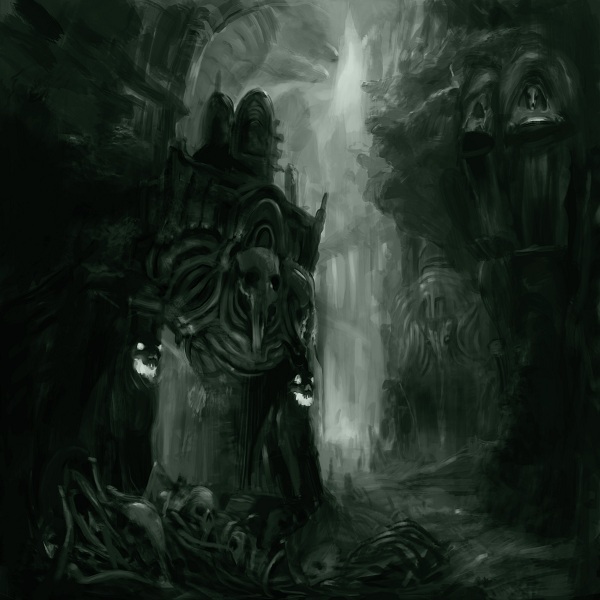 This Vancouver, BC, extreme death metal band, formed in 2008, has announced details about its forthcoming full-length debut, From Forgotten Worlds. For starters, they’ve revealed the cover art which you can see hanging out just above this paragraph. The release is set for sometime later this summer, presumably after they complete their July tour across western Canada. 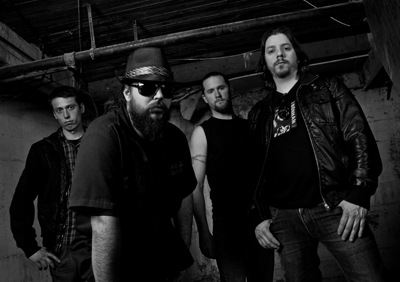 These hard rockers from Ottawa, ON, have just released the title track from their debut full-length Don’t Hold Back. The album is scheduled to come out in September, but the single is available right now, and you can download it FOR FREE! One of the best death/doom bands out there, in my opinion, these Finns should need no introduction to longtime readers of this blog. However, if you need a refresher, check out this review of last year’s EP Chapter III. That post also includes links to the band’s earlier full-length, The Silence from Your Room, which was without a doubt one of my favorite new CD acquisitions of the past year. I guess it goes without saying that I’m really excited that these guys are in the middle of recording their next album. As I understand it, they’ve got all the drums tracked so far, and will be adding the other instruments and vocals in the near future. But for now, they’ve released demo versions of two songs, which they recorded live in the studio during the drum sessions. The first of these, “Cœur,” was announced a couple of weeks ago, and I grabbed a copy of it but then got distracted by something else and forgot to share it with you! This entry was posted in Free Downloads, Free Stuff, New Releases, Videos and tagged Auroch, Barrows, Begrime Exemious, Breathe Knives, Dead Trooper, Ever Circling Wolves, Fenrirs Thirst, Hellish Records, Naraka, Odinfist, Ominosity, Pangaia, Project Mars, Savage Streets, Sinister Fiend, Ted Bundy, The Avulsion, The Whore House Massacre, Trissection, Wild Metal Festival. Bookmark the permalink.